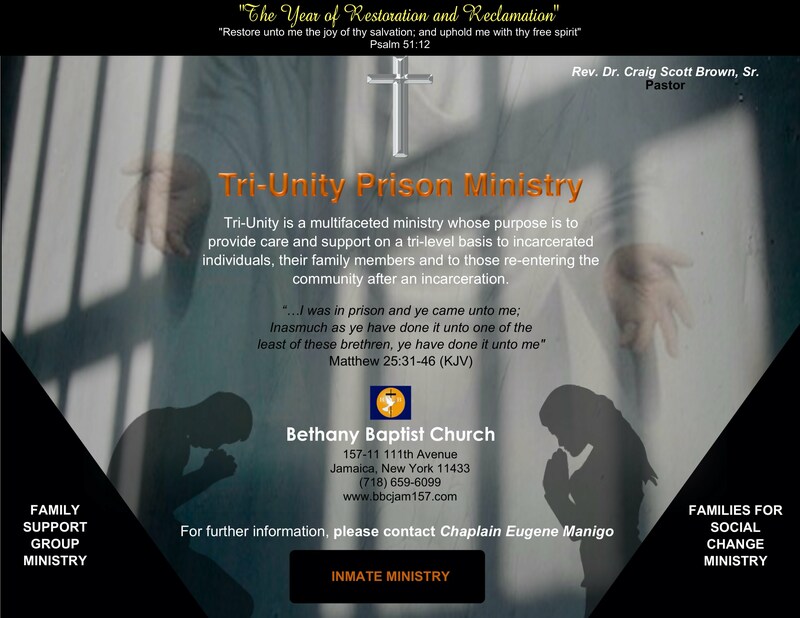 “…I was in prison and ye came unto me; Inasmuch as ye have done it unto one of the least of these brethren, ye have done it unto me"
Tri-Unity is a multifaceted ministry whose purpose is to provide care and support on a tri-level basis to incarcerated individuals, their family members and to those re-entering the community after an incarceration. This tri-level approach will enable Bethany Baptist Church to reach a significant amount of people who need our help and support. 3. Families for Social Change Ministry.